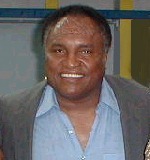 Carlos Edwin Colón, Sr. (born Carlos Edwin Colón Gonzalez on July 18, 1948 in Santa Isabel, Puerto Rico), is a retired Puerto Rican professional wrestler and wrestling promoter, better known in the Puerto Rican professional wrestling circles as Carlos Colón or Carlitos Colón. He is the father of wrestlers Carly Colón, known professionally as Carlito, and Eddie Colón, known professionally as Primo Colón. He is also the uncle of WWE developmental wrestler Tito Colón, whose real name is Orlando Colón. Colón was born in the Jauca Ward of Santa Isabel, agricultural community in southern Puerto Rico. One of seven children, he immigrated to Brooklyn, New York in 1961, along with the rest of his family. Given his admiration for wrestlers Antonino Rocca and Miguel Pérez, he became a member at the gym they trained at, practicing wrestling moves and cleaning the place occasionally to pay for his dues. His dedication and affability helped him gain the respect of his peers, as well as the occasional wrestling match. 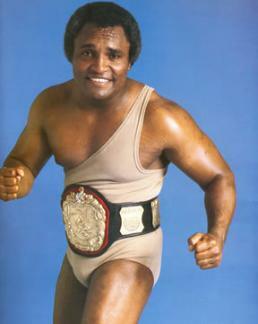 His first bout occurred in Boston, Massachusetts, on February 16, 1966, when he wrestled Bobo Brazil. Colon was paid US$15.00 for his participation in his first match. He eventually became an itinerant wrestler in the eastern states of the United States and in Canada over the following three years, with Montreal as his place of residence. 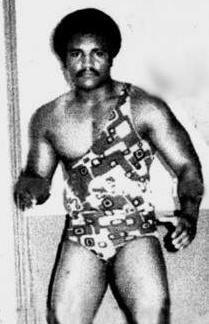 Feeling homesick and noticing a void in the Puerto Rican wrestling scene, Colón returned to Puerto Rico in 1973. Colón and Croatian-born wrestler Victor Jovica founded a promotional company, Capitol Sports Promotions, which aired wrestling television shows each Saturday and Sunday on WAPA-TV. He wrestled during a time where local stars such as Barrabas, Black Georgie and Pérez shared the spotlight with international wrestlers such as Argentine-born Rocca, Cuban-born Huracán Castillo and others. He set the stage for local stars such as Los Super Médicos, Los Invaders and Chicky Starr to develop. His wrestling company was also responsible for inviting major American wrestling stars such as Randy Savage, Ric Flair, Bruiser Brody, Stan Hansen and others to wrestle in Puerto Rico. The nemesis of Colón's character was Abdullah the Butcher, with whom he staged a long-standing feud which lasted almost two decades. Colón is quoted as saying: "Eighty percent of the blood I've shed in the ring I've shed because of Abdullah." He was the WWC Universal Heavyweight Champion in Puerto Rico 27 times, and in 1983, after losing a match to Bruiser Brody, he required hospitalization due to injury at Brody's hands. News of his hospitalization made the covers of El Vocero and El Nuevo Día newspaper. Two weeks later, his character defeated Brody in a rematch. On January 6, 1983, he defeated NWA World Heavyweight Champion Ric Flair in a "unification" match to win the title and also create the WWC Universal Heavyweight Title, but the match never made it to NWA television. He lost the title back to Flair on January 23, 1983. The title change is not considered official and the NWA does not consider Colón a former NWA World Heavyweight Champion. - Georgia Heavyweight Title Tournament (October 8, '74) = Colon competed in the tournament, which was won by Luke Graham. - WWC 10th Anniversary Show (September 17, '83) = Colon retained the WWC World Heavyweight Title, fighting to a Draw with the NWA World Heavyweight Champion, Harley Race. - NWA Starrcade '83 (November 24) = Colon was pinned by Abdullah the Butcher. - WWC 11th Anniversary Show (September 15, '84) = Colon & Abdullah the Butcher fought to a Double Disqualification with the AJPW PWF Tag-Team Champs, Bruiser Brody & Stan Hansen. - WWC 12th Anniversary Show (September 21, '85) = Colon fought Abdullah the Butcher (unknown result). - NWA/AWA Star Wars (December 29, '85) = Colon beat Konga the Barbarian. - WWC Universal Heavyweight Title Tournament (September '86) = Colon defeated Boris Zuhkov, Abdullah the Butcher, and Terry Funk to win the tournament. - WWC 14th Anniversary Show (September 20, '87) = Colon won the WWC Universal Heavyweight Title, winning a "Barbed Wire" Match over Hercules Ayala. - WWC Gillette Cup Tournament (February 27, '88) = Colon defeated Hercules Ayala, Dory Funk Jr, and Wild Samoan Afa to win the tournament. - WWC 15th Anniversary Show (September 10, '88) = Colon won a "Fire" Match over Hercules Ayala. - WWC 16th Anniversary Show (October 7, '89) = Colon won the WWC Universal Heavyweight Title, winning a "Barbed Wire Steel Cage" Match over Steve Strong. - WWC 17th Anniversary Show (July 7, '90) = Colon stayed the WWC Universal Heavyweight Champ, fighting to a Draw with TNT. - WWC 18th Anniversary Show (July 6, '91) = Colon, as the WWC Universal Heavyweight Champion, lost, via reverse decision, to Dino Bravo. El Vikingo was the special referee. - WWC 19th Anniversary Show (August 8, '92) = Colon lost the WWC Universal Heavyweight Title to Invader #1. - WWF Royal Rumble '93 (January 24) = Colon competed in the Royal Rumble, which was won by Yokozuna. - WWC 20th Anniversary Show (August 8, '93) = Colon beat Terry Funk. - WWC 21st Anniversary Show (August 6, '94) = Colon, as the WWC Television Champion, fought to a No-Contest with the WWC Universal Heavyweight Champion, Dutch Mantel. - WWC 23rd Anniversary Show (August '95) = Colon won a "Retirement" Match over El Bronco. - WWC 24th Anniversary Show (August 15, '97) = Colon won a "Retirement" Match over Abdullah the Butcher. - WWC 25th Anniversary Show (August 1, '98) = Colon won the WWC Universal Heavyweight Title, defeating Rey Gonzales. - WWC 26th Anniversary Show (August 14, '99) = Colon won the WWC Universal Heavyweight Championship, beating Rey Gonzales. - WWC 27th Anniversary Show (July 16, '00) = Colon won a "Steel Cage" Match over the One Man Gang. - WWC 28th Anniversary Show (September 8, '01) = Colon won, via DQ, over Barrabas Sr.
- WWC 29th Anniversary Show (September 14, '02) = Colon & Abdullah the Butcher fought to a Double Countout with the WWC World Tag-Team Champions, Thunder & Lightning. - WWC Universal Heavyweight Title Tournament (July 18, '03) = Colon lost in the first round to the eventual winner, Lightning. - WWC 30th Anniversary Show (July 19, '03) = Colon fought to a Double Countout with Abdullah the Butcher. - WWC 34th Anniversary Show (July 13, '07) = Colon & Barrabas defeated Victor Jovica & Jose Estrada Sr.